Can doctors fix a broken heart? You can’t walk through a drugstore anymore without seeing aisle after aisle of fish oil supplements. 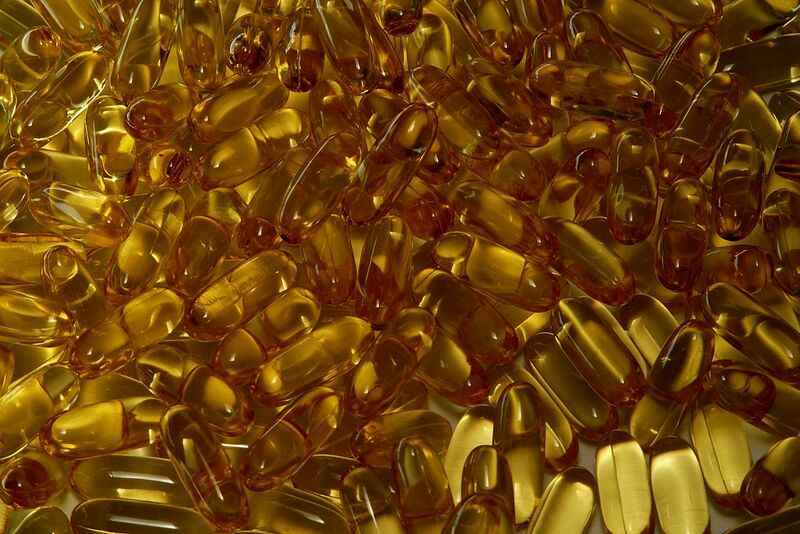 By now, many people probably have heard that fish oils can be good for their heart. But few know why, or if this is true for everyone. Don’t think fish oils are hot? The global market may be increasing by as much as seven percent annually, according to market research. That means lots of money is at stake for pharmaceutical companies like Amarin, which in September released preliminary study results showing that a high dose of their proprietary fish oil Vascepa could significantly reduce the risk of heart attack or stroke. Critics charged that Amarin put the cart far before the horse by not waiting until all results were in before releasing them, in an overt bid to goose their stock value. On Nov. 10, Amarin finally released all the data, which broadly substantiated their initial claims. A robust Twitter chorus maintains that everything Amarin says on this topic is fraudulent, and there is also concern that Amarin treated its placebo patients — i.e., those who did not receive Vascepa — in a way that may have elevated that group’s risk of heart trouble. Given the hubbub, the time seems right for a refresher on fish oil and heart health. Let’s start with the basics: What is cholesterol, and why should we care about it? Cholesterol is a type of fat that circulates in our bloodstreams and helps our bodies form cell membranes and produce vitamin D. Trouble comes not with having cholesterol, but with having too much of the wrong kind. There are two main types of cholesterol – low density lipoprotein (LDL) and high density lipoprotein (HDL). Cholesterol screening tests measure the levels of both. LDL cholesterol — often known as “bad” cholesterol — can cause damage to arteries. LDL in artery walls combines with oxygen, causing inflammation in the arteries that produces plaque. Plaque narrows arteries, making it harder for blood to flow. HDL cholesterol — a.k.a. “good” cholesterol — forcibly removes some LDL from arterial walls, spurring plaque to loosen and blood to flow more freely. HDL directly counteracts the negative impact of LDL. Triglycerides are another type of fat in the blood. Triglycerides store unused calories and provide energy between meals. High triglyceride levels can also cause plaque build-up in arteries — just like LDL — which is never good. Why is plaque an issue? Poor blood flow, caused by arterial plaque, leads to many bad things. For starters, it can cause peripheral artery disease, in which people have trouble walking because blood cannot easily reach their legs. Add to that coronary heart disease, which increases the risk of heart attack. 735,000 Americans have a heart attack every year, and heart disease is the leading cause of death worldwide. Preventing these terrible effects are why millions of people turn to statins. Statins protect against the risk of heart attack in two ways: by suppressing the production of cholesterol, and by converting some LDL cholesterol into salts. Both approaches lower plaque production in arteries, reducing the risk of heart attack. Statins are sold under brand names including Lipitor and Altacor, and any other number of generic names. Statins are expressly designed to reduce LDL levels. Although they often reduce triglycerides too, this is not their primary purpose. For patients whose main concern is high triglycerides — the people of interest in the Vascepa trial — cardiologists have other tools besides statins. Fish oils are often used to reduce triglycerides. They can come from food or in a synthetic pill. In either case, consuming fish oils can lower triglyceride counts by suppressing the production of triglycerides in the liver. Fish oils also contain Omega-3 fatty acids, which can help with brain function and support body growth and development throughout a person’s entire life cycle. Four grams of pure fish oil — the dose in Vascepa — is large enough to have “myriad benefits” says Oregon Health and Sciences University cardiologist Michael Shapiro who served as a site leader for the Vascepa trial. Shapiro believes we are at the beginning of a new era of interest in the health benefits of fish oils. Even so, Shapiro cautions that this does not mean that everyone should now run out and buy fish oil supplements. Vascepa is only meant for people who already take statins, and whose triglyceride levels remain stubbornly high. Many other people can enjoy the benefits of Omega-3 fatty acids in their food. Omega-3 is found in fish such as mackerel and salmon, as well as in nuts like walnuts and pumpkin seeds. So if you do not have elevated triglycerides and eat fish and nuts, you probably don’t need to take synthetic fish oils. Just order lots of salmon at your local seafood shack, and walk right past those aisles the next time you visit CVS.